7 days a week 7a.m. - 10p.m. "Take the Last Train to Clarksville"
Enjoy our History and More! There has been railroad business in Clarksville since 1860, when the first train came into town from Bowling Green. Passenger service from Bowling Green to Memphis began on April 14, 1861, with the completion of the Tennessee River Bridge at Danville. There were two other lines that served Clarksville & Montgomery County, the C & P Branch, connecting Clarksville to Hopkinsville, and the L & N Line, connecting Hematite to Pond where it connected to the N. C. & St. L railroad. 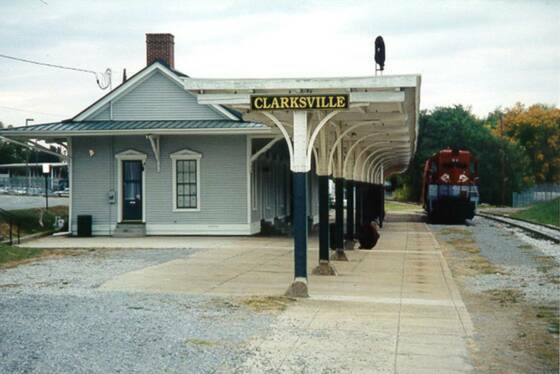 The first Clarksville depot was at Depot Street, close to Cumberland Drive. There was also a freight depot and a hotel there. Ground was broken in September of 1881 for the present depot. Further renovations were in 1901, 1916, 1924, 1948 and 1960. In 1916, the 320 foot long butterfly shed was added. This helped protect the passengers from the elements. Passenger service was brisk until the advent of the automobile. There was resurgence in passenger traffic during the World War II years. A lot of trains pulled out with passengers standing in the aisles. The most famous train on the Memphis Line was the Pan American, which had it’s beginning in December of 1921. This train was discontinued on November 15, 1965. This was due to the drop in passenger business. The Monkeys came out with the song, “Last Train to Clarksville” due to this discontinuation. But that was not the last train to Clarksville. Night trains 101 & 104 ran on until February 28, 1968 when C. W. Harrison, night ticket agent, sold the last passenger ticket in Clarksville. P. O. Bledsoe, day ticket agent, was known by a lot of Clarksvillians, as he worked at the depot for over 30 years. After years of neglect, the train station was brought back to life for the State’s Bicentennial in 1996. 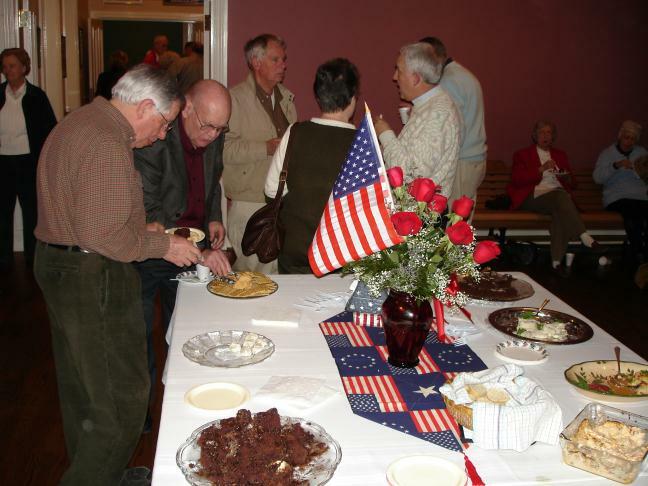 It is now home to the Montgomery County Historical Society. We were fortunate to receive the locomotive to grace our home. We thank Tony Smith for his contribution of this history of our home station. We would like to invite you to a tour of our MCHS home and to purchase either online, by phone or by mail any of the many pictures, books, post cards or replicas available. Take the last train to Clarksville and I’ll meet you at the station You can leave here by 4:30 ‘Cause I’ve made your reservation, Don’t be slow. Oh, no, no, no! Oh, no, no, no! ‘Cause I’m leaving in the morning And I must see you again. We’ll have one more night together ‘Til morning brings my train And I must go. Oh, no, no, no! Oh, no, no, no! And I don’t know if I am ever coming home. The zippy melody and dark lyrics of the above, “The Last Train to Clarksville”--written by Tommy Boyce and Bobby Hart and recorded by The Monkees--became a 1966 number-one-hit when it peaked on the U. S .Billboard Hot 100 Chart. As a protest to the Viet Nam War, the song tells of a young Fort Campbell soldier being shipped from Clarksville, Tennessee’s L&N (Louisville/Nashville) Station en route to overseas’ duty. The G.I. 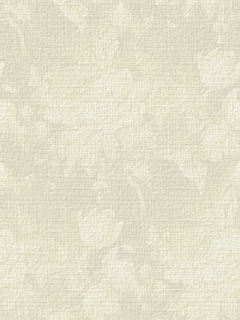 who doesn’t know if he will ever again return, wishes to see his sweetheart once more. SHORT HISTORY OF THE STATION In 1859, the MCL train track was put into service from Guthrie, Kentucky (then called State Line as the small settlement straddling the Tennessee/Kentucky line had not yet been named Guthrie) to Clarksville, Tennessee. The MCL track to Memphis, (Memphis, Clarksville and Louisville) was finally finished with the help of Irish construction crews, and opened April 12, 1861, two days after the attack on Ft. Sumter. Soon after Tennessee seceded from the Union, the short-lived commercial passenger service ceased, but the South continued to make excellent use of the track by moving rapidly its troops and supplies. Then came the Yankees. Shortly after the fall of Ft. Donelson, February 16, 1862, General U. S. Grant commandeered the track, repairing the Rebel’s self-imposed fire-damaged bridges across the Red and Cumberland Rivers and ordering Federal troops to protect the railroad from future rebel cavalry raids. In 1863 Louisville and Nashville line (L&N) rebuilt Red River Bridge and the Feds resumed operating from State Line into Clarksville. Following the war, MC&L restored its track from Paris, Tennessee into Memphis and for the first time since 1861, passenger rail traffic resumed from Louisville through State Line (Guthrie) to Memphis. Like many rail lines, MCL had its share of train robbers, among whom, in 1897 was Gus Hyatt, who after passing over Red River toward State Line, put on a mask and at gunpoint held up four men in the express car, even dropping the conductor’s pocket watch into his sack before pulling the bell cord at Cherry Station, now known as St. Bethlehem (outside of Clarksville). When the train picked up speed to resume its journey, Hyatt jumped off and took for the woods, last seen running toward Dunbar Cave. Wading down Red River to a previously selected spot, Hyatt sequestered himself for a week. A severe thunderstorm prevented bloodhounds from picking up Gus’ scent. Traveling by night, Hyatt walked all the way to Kansas City, where his wallet, which contained $2,000.00 was lifted by some drinking friends and this resulted in a fight which resulted in police involvement which eventually resulted in Gus’ arrest. It is thought that Gus Hyatt was the greatest of all-single-handed train robbers on the L&N line. In 1870, the first Clarksville RR station was constructed and the building soon thereafter in 1871, passed into the hands of L&N when MCL sold out. The station was remodeled in 1890. In 1996 for Montgomery County’s Tennessee’s Bicentennial Celebration, the L&N Station was again remodeled and completely renovated by the city of Clarksville in cooperation with Montgomery Historical Society. Today it serves as home office for the latter. A small museum room within the station displays railroad memorabilia including original floor plans, train schedules and original items from the station. Outside the station, the butterfly shed, still in tact, originally built to protect both passengers and baggage from the weather, today protects vendors and customers of Clarksville’s Farmers’ Market. Located across Tenth Street from Clarksville’s L&N Train Station is the (circa) 1898 Conwood Co. Building, where Garrett Snuff has been manufactured since 1907. For more than half a century, the L&N Station served as shipping center to Memphis for Garrett’s “Clarksville Tobacco” snuff where the snuff was and still is prepared for distribution. “Clarksville Tobacco”, a world-wide title that remains today is so named because locally-grown Tennessee and Kentucky dark fired tobacco is and has been easily identifiable in both foreign and domestic markets for its richness and heavy black texture. To the northwest of the L&N Train Station is Dixon Park. Mr. and Mrs. Nace Dixon, Afro-Americans who were early successful business people operating a funeral home (he, a prominent city alderman) bequeathed at their deaths, their property to the city to be made into a park not only for neighborhood children but also for all who will find in this beautiful place, relaxation and recreation. by Rubye Patch Sources: Henderson, Dr. Allen, Professor of Music, Georgia Southern University, Statesboro, GA. Leaf Chronicle Newspaper: Obituary of Nace Dixon, June 2, 1937, p.1 Clarksville, Tennessee. Logsdon, David: Eyewitnesses at the Battle of Fort Donelson. Kettle Mills Press, Nashville, Tennessee. 1998. Mize, Dennis: L&N’s Memphis Line. MFS Line Publishing, Port Charlotte, FL. 1999. Sanders, Bryce: Manager of Clarksville’s Conwood Co. Personal Interview, Clarksville, Tennessee. 2006. Titus, W. P.: Picturesque Clarksville, Past and Present. Published by W. P. Titus Publishing Co, 1887. Reprinted by Ann Alley and Ursula Beach, 1973.